Linden Lab provide an Affiliate Programme that allows anyone with a blog or website to promote Second Life via ads created using destinations contained within the Destination Guide. 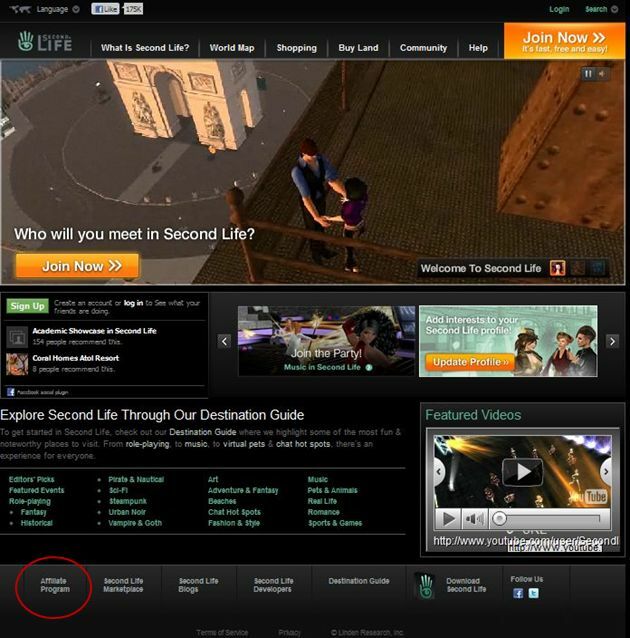 These ads can be placed within websites and blogs, and commission is earned based on the number of people using the ad to click-through and join Second Life (registrations made within 30 days of the initial click-through). Note: the Affiliate programme also utilises the Google Affiliate Network via an AdSense account. This article only relates only to the use of the Linkshare Affiliate Network. 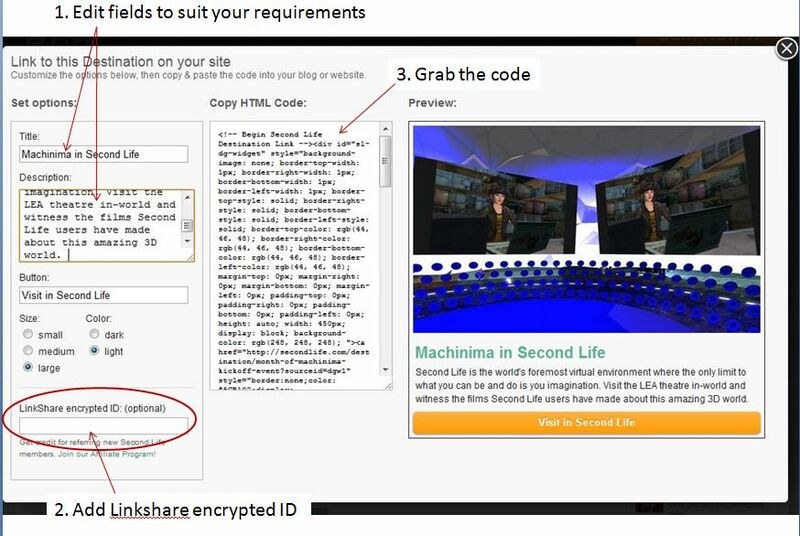 Copy the generated code and embed it within your website / blog. I cannot answer specific questions on this – I’m just reporting on it! 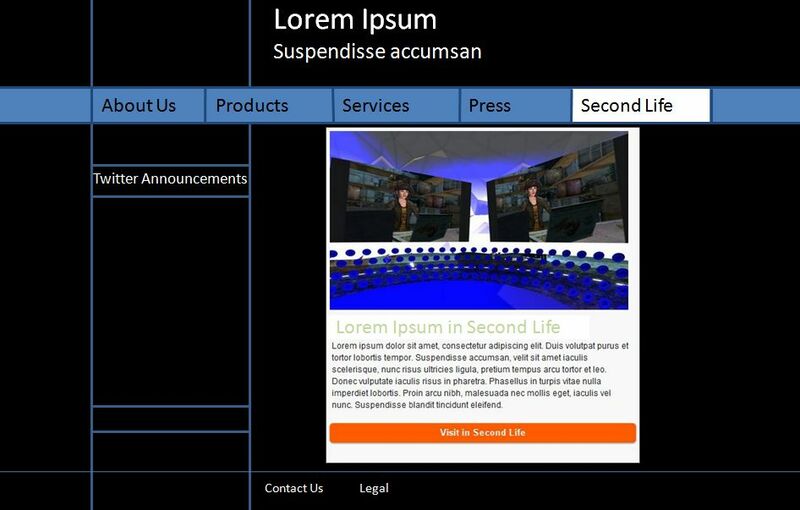 The Create Ad widget FAQ provides specific information on using the widget to set-up an ad. Interesting, I joined the linkshare network a while back for my RP sim blog, I didn’t realise they’d added Google adsense too. I was surprised by the fact people at SLCC didn’t seem to be aware of it, hence the article. I’m not sure howw AdSense fits, as the Create and Ad widget only appears to accept Linkshare IDs. Can’t be sure, as I don’t have an AdSense account. With AdSense you can select from a number (currently 55) of pre-generated ads that are different sizes and contain different images, text etc.. You then copy and paste the provided HTML code into your site. I found joining a fairly painless process and placing the ads themselves was easy. As a site reader, I’m really not a big fan of advertising but having SL Ads on SL themed sites makes a lot of sense to me. I think it’s a winning situation for everyone involved though I doubt it will actually generate much (any?) revenue.